It was a short week but a long one. That's this week's excuse for being late for Five for Friday. 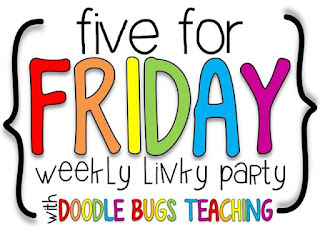 Check out this week's Five for Friday linky! Dr. Martin Luther King Jr. - We spent another week on MLK activities. I just have too many activities! Yesterday, I tried something new - my favorite activity yet! We took an outline of MLK and cut it and glued it on a sheet of paper. Then we took magazines and my students cut out words or letters to glue around. My students loved making these. They took their time - over an hour of excited but quiet students! Check out my Instagram page to see a pic. Crazy Friday Night - I was the crazy teacher staying until 7 last night! (That's the other reason I didn't post.) It was perfect timing that I saw a video on Facebook that showed this. Check out my Facebook page to see it. 100 Best Children's Books - This week I read Captain Underpants. I heard there was going to be a movie later this year. I guess I will be prepared. Then I read The Bad Beginning and then binge watched Series of Unfortunate Events on Netflix. Senate Hearings - Anyone catch a certain one? 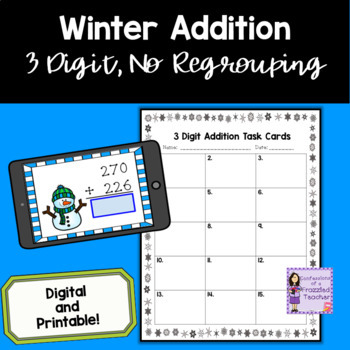 January TPT Products - I know there is not many days left this month, there is still time to check out some of my January TPT Products. 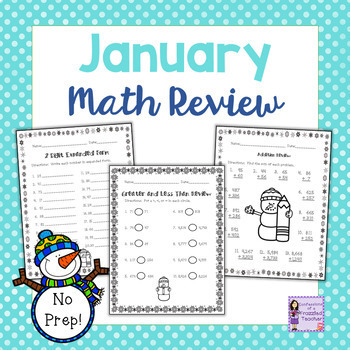 Many are snow themed and can be used in February (although I hope they won't be used in March)!